So once again, I just want to throw out a huge thank you to my readers, and a CONGRATULATIONS to everyone that was nominated. The Basics: Alright, well I've been a member of MediaMiner and SingleSpark for years, but I just never moved over to here. I really enjoy reading Sess/Kag fanfictions, and figured I would start my own. I usually write original stories so I'm scared to see how my fanfictions will do. In Depth: I live in California with my boyfriend of three years while we both attend CSUN and CSULB. I am going for a major in English with a concentration in Composition and Creative Writing. My goal is to become an editor or publisher. I own one dog named Babyeater, that is my muse. Likes: I enjoy watching anime, playing video games, and reading on my brand new Kindle(LOVE IT). I also love reading fanfictions, I spend most of my time online. Dislikes: I don't like television shows. I tend to stray from the T.V. a lot. I also have put an end to going to the movies. I seem to always get placed in front of the man who coughs, or the girl who forgets to turn off her phone. -__- I would love to use Dragon Twister on them. 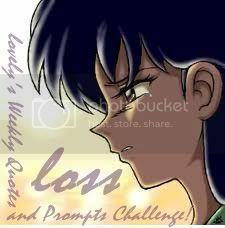 NOMINATED FOR 1st QUARTER 2011 in five categories: Kagome's life changed once more when she was pulled into the well three years after Naraku's demise. She was shocked to see how every one changed, and even feels left behind. When Sesshoumaru comes to ask for aid in a mission, will Kagome jump at the opportunity at another adventure? This is where my 'innocent' one shots are going. There will be no MA in this collection, so it could be viewed by everyone. I hope you enjoy. I'm going to start putting my Drabbles in here from DDN. It will be MA because most of my drabbles are for mature audiences. Nominated 2nd Quarter 2011 Best AU! Commissioners and Ladies. Does anything sound funner? Kagome needs help from the new Commissioner. A man that gave 'bad reputation' its standards. However, will Kagome be able to pay the price he demands when a life is on the line? Best AU 2nd Place & Best Portrayal(Kagome) 3rd Place - Semi Annual 2013 Kagome mistakenly gets stuck being the Great Mr. Tish, also known as Sesshoumaru's, assistant after a clumsy accident. Nominated for Best AU/AR for 3rd Quarter 2011!!! After six years of keeping herself busy, Kagome returns to the Taisho family to celebrate something she dreads - Sesshoumaru's bride-to-be. The Priestess, also known as Kagome, secretly protects the city, even when powerful demon threatens to take it from her. What happens when her pesky boss gets in the way? Kagome wants a little adventure. However, can she handle it once she gets it? She finds a injured and less than friendly demon, one that everyone thinks is destroying villages. Can she figure out the mystery that has everyone pointing fingers? When Sesshomaru needs Kagome to help him, she takes advantage of the dog demon now in her debt. As they set out on a new journey, will Kagome be able to overcome the problem that arises? Pun Intended. When Sesshomaru is dropped into a parallel universe ruled by women, and one miko in particular, he has one goal. He must get back and prevent the same thing from happening in his world. Unfortunately, the only way to achieve such freedom is to play along as Kagome's personal pet. Western Themed! Kagome's Native tribe is in danger. Quickly, she does the first thing she can think of- kidnap the leader of the group of soldiers that threaten her tribe's safety. Will she be able to convince him to leave her and the tribe alone or will something else get in the way? Thank you so much for reading Contigo! Lately I've been pushing myself to finish it because I dont like leaving stories unfinished but it's hard sometimes. Knowing that people are reading and liking it makes it much better! I hope you have a wonderful day! I wish the site would let us know when people comment back on it comments. That sounds great!! And ill have to check out your travel site if you have one when I get on my desktop! I'm going to school for business at Ty moment. Someday I'd like to go back and get my vet liscense though. Just trying to be practical at the moment. I'd love to see the planning journal. I'm so very happy my reviews inspire you to continue writing. I always feel like there are a million other things I can comment on, but I end up wrapping my thoughts around one thing only and writing about that. Hehe. Maybe I'll try next time to be more thorough... By the way, I love the lemons in the story. They are sooo... sooo... realistic. The scenes fit in so well! And I can see you are not like one of those writers that just 'makes' things happen. You slowly dive into it and convey the proper stages and phases of how things end up being what they are. I love that! It's amazing. I'm never weird-ed out or confused while reading your updates, but I'm always surprised, intrigued, and frustrated at a character or two, hehehe. And I love the glimpses that you give us of Past-Kagome and Past-Sesshoumaru. It tells that, hey, even though they changed, they are still the same people. Just like in real life, we might change but deep inside, we'll always be the fools we were once upon a time. Don't change anything on my account. I love where it's headed so far. It just so happened that by the end of the latest chapter 'enlightenment' (still waiting for that update, too, btw ) struck me since I like paying attention to close details and connecting dots. Many encores for your writing prowess! You've created the best bad a$$ Kagome I've ever read. I'm not doing too bad myself. Working on finishing up my degree in a somewhat timely manner. That takes up most of my time now-a-days. Feedback from Smortz: I opened a travel agency (FireMouse Vacations) and have been having a blast! It took a long time to get it all up and running the past 6 months. What degree? I went to school for teaching with a focus in history but apparently this state does not need anymore teachers. Thanks California. Lol! I actually have a little planning journal for the wedding if you are interested. We are doing a destination wedding on a Disney cruise. Eeeeep eeeeep eeeep! Now there's a name I remember well! And you updated! How are you my dear? I hope things are going well for you. 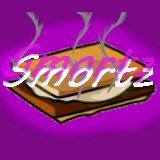 Feedback from Smortz: Hey! I have been pretty busy. I started my own business and am getting married in October, so things have been hectic. 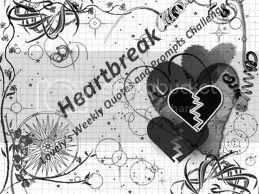 My poor stories are like neglected dust bunnies I leave under the bed due to sentimental values. Hopefully I will use the summer break to catch up on them. Lol! So I'm on my phone right now & it won't let me leave a review for your story From Master to Servant & I just wanted to say this story is amazing! I love the way kagome treats sesshomaru (especially the spanking lol), kickass Kagome & that women rule the world! I look forward to the next update! Haha! Thanks for the review! Hello Smo! Just wanted to wish you a HAPPY BIRTHDAY! Although it is late, please accept the birthday wishes. Lol. Thank you for being an amazing author, and please continue to thrill us with your fanfictions. You are deeply appreciated. XD Yes, indeed! The story is at it's best when you start messing with him He is indeed a tad too cold... maybe that's why most writers - myself included - tend to forget about his unique personality in favor of the much more human one!